The government has initiated various schemes and policies in order to provide sustainability to the under-privileged people. The irony is, majority of the rural population are devoid of the benefits earned from these schemes and the reasons behind this backlog are ignorance and lack of information. The Soochna Seva team experienced one such case of ignorance when they conducted a camp in Sivir village in Narendra Nagar block of Tehri Garhwal district. The team met Purushottam Singh; he was a farmer and also worked as a manual labourer. During off season he worked under various contractors and often did not receive money in time. He thought of migrating to other states in order to earn more but he hesitated to leave his family and the village. The veil of ignorance lifted from his face when he learned about the National Rural Employment Guarantee Act (NREGA) during the camp. This scheme provides unskilled work to the labourers in their hometown and prevents migration. It ensures livelihood security in rural areas by providing 100 days of wage employment in a financial year to every household whose adult members volunteer so that they can do unskilled manual work. During the session the team also explained about the importance of job card and the process to fill up the form for NREGA. After a week went by, the team acted in Purushottam’s case. They helped him to fill the form to apply for a job card and also assisted him in obtaining it from the block development office. 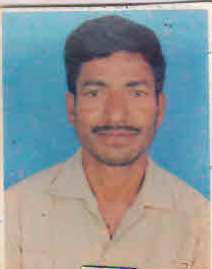 Today Purushottam is working under NREGA and is receiving money directly in his bank account. He feels that this decision of not leaving the village was a good one because these days he is getting money in time and the money is sufficient enough to feed his family. He thanked the Soochna Seva team and appreciated their efforts in reaching out the most marginalised sections of the society and empowering them.